In Puerto Rico, intellectual property includes copyright, which is composed of two separate rights: patrimonial, which consists of the exploitation of the work; and moral, which protects the relationship between the author and their work. Moral rights and copyright have two different views on literary and artistic property. The moral right emanates from the author themselves: it recognizes that the work is an expression of the person or author and so it is protected. On the other hand, copyright is strictly limited to the work, without considering the moral attributes of the author in relation to his work. The term “moral rights” comes from the French term “droit moral” and refers to the ability of an author to be able to control the use of his work. It stems from the existing bond between the author and his creation, independent of its monetary value. The work is treated as an extension of the author, in such a way that they can never be truly separate. Even if the author gives up his copyright, his moral rights remain, to a certain extent, under his dependency. Intellectual properties are linked to both the author’s personal rights and their labor rights, both directly affecting the author’s dignity. In civil law, the moral rights of an author are classified as personal rights, such as the right to life, freedom and physical integrity, the right of honor, etc. Other countries, such as the US, Canada, and England, have adopted legislation on moral rights that allow the author to prevent the distortion or alteration of their work, regardless of who the current owner is, whether it is the object itself or its copyright. The Copyright Act of 1976 applies in Puerto Rico, which covers reproduction rights of literary and artistic works, derivative works, distribution, digital performance right, sound recording and public performance. On the other hand, the moral rights that were not contemplated by the Federal Law were recognized by the Spanish Intellectual Property Law of 1879, which was never expressly revoked. With the approval of Act No. 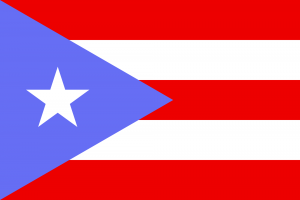 96 of July 15th, 1988, as amended, known as the “Intellectual Property Law,” Puerto Rico adopted its own statute to regulate the so-called moral rights, based on Spanish legislation. At the international level, there is the Berne Convention for the Protection of Literary and Artistic Works, which is an international treaty on the protection of copyright in literary and artistic works. The Convention, approved in 1886, establishes the moral right of attribution and integrity, as well as certain exclusive economic rights to the translation, reproduction, execution and adaptation of a work. (see “An Introduction to the Berne Convention”, December 2017). After the United States acceded to the Berne Convention in 1989, Congress approved the “Visual Artists Rights Act” on December 1, 1990. This statute embraces the basic civilian principle that the moral right of the author must be protected. Said federal legislation is applicable only to works of two hundred copies or less. It should be clarified that this federal legislation is not preemptive, allowing states, or in this case Puerto Rico, to legislate in favor of the moral rights of their authors, when federal legislation does not protect these rights. It should be noted that, like copyright, moral rights also promote the creation of new works. Puerto Rican artists play an important role in capturing the essence of the island’s culture and protecting it for future generations. There is an interest in the law to clearly define the rights of artists, both for the benefit of the artist and the general public. Access to artistic works is a priority for their society. The government focuses its efforts on promoting the arts and attempting to find a balance between author’s rights and user’s rights. • Attribution – The right to be recognized as the author, whenever that is the case, as well as to prevent the attribution thereto of works that are not theirs. • Withdrawal – The right to waive authorship whenever the work no longer conforms to his intellectual or moral convictions. • Access – The right to demand reasonable access to the original or sole copy of a work whenever it is in the hands of another, so as to be able to exercise copyright. One can observe how several elements of the Moral Rights Act of Puerto Rico are the same as if one were to apply them to U.S. copyright law. For example, moral rights cannot be enforced on works that have entered the public domain. Also following copyright law, the duration of moral rights extends to life of the author, plus 70 years after their death or until their work enters the public domain, whichever comes first. The author or rightful claimant may not invoke moral rights when the work is legitimately used for purposes of criticism, parody or news, educational, or investigative comment. It even goes by the same statute of limitations rule. The key phrase under this section is “domiciled in Puerto Rico.” Puerto Rican moral rights are strictly limited to the island and anyone residing in it, no matter their nationality. If the work of a Puerto Rican author is published, exposed or interpreted in an objectionable manner abroad, will his/her rights not be protected even with proper registration? The protection of the State Registry is limited to the territorial extension of Puerto Rico. With this being said, the Puerto Rican author is not necessarily defenseless if his/her work is mutilated abroad. The United States became a member of the “Berne Convention (Switzerland) for the Protection of Literary and Artistic Works” in March 1989 and the Puerto Rican author, as an American citizen, is covered by its terms. However, as of June 1991, the Berne Convention only recognized the moral rights of “visual artists,” meaning that authors who are not “visual artists” lack protection in the United States in terms of moral rights and in those countries that are not members of Berne, even if they have national legislation that protects their moral rights. 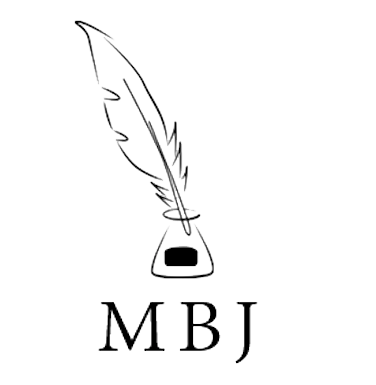 Nevertheless, if an author’s moral rights were to be damaged in a country that belongs to the Berne Convention and recognizes moral rights in their national legislation, the Puerto Rican author could then sue in that jurisdiction under their locally applicable terms and conditions. Duration of Copyright. US Copyright Office. Library of Congress. Moser, David J., and Cheryl Slay. Music Copyright Law. Course Technology / Cengage Learning, 2014. Puig Brutau, Fundamentals of Civil Law, Volume III (Barcelona: Bosch, 1973), 200-201. Next Can Airbnb Concerts and Sofar Sounds Revolutionize the Live Concert Industry?